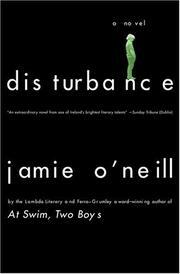 The first US publication of the Irish author’s debut novel, an ingenious psychological whodunit. Sixteen-year-old Nilus, growing up in a ramshackle house in a row of “tradesman-like” cottages in an unnamed Irish town, has his share of problems. His invalid father drags him to Mass every day, when he’s not drilling him in Italian vocabulary. His 50,000-piece matte-black jigsaw has to be continually undone and remade to maintain order in the world. Mercenary uncle Frank, meanwhile, is intent on demolishing Nilus’ family home to build office buildings. And the death of his mother lurks behind it all, at once the result and cause of the pervasive disturbance that characterizes his world. Now his father has taken to his bed, where his daily bread is brandy. At the same time, he’s opened the family home as a boardinghouse—a child-molesting priest, a blind beggar, and a mad gypsy woman move in. Close on their heels comes heavily pregnant cousin Ira. The world of the novel becomes progressively more absurd, a Flann O’Brien-ish whirlwind of illogic and thoughtless cruelty. But the grotesquerie is brilliantly revealed not to be a trick of genre but, instead, of the narrator’s mind: We slowly realize that it’s only Nilus, not the world, gone mad. The boarders are figments; the obsessive attendance of Mass and study of Italian are his own brainchildren; his father has long been dead and has begun to petrify and stink on his pillows. The real cousin Ira is locked by Nilus in an upstairs room to give birth to her child in a psychotic reenactment of his own birth. O’Neill’s masterful control of this twisting plot, and his ability to transform comedy into terror and terror back into comedy, make for a compelling read. In a story by turns chilling and rib-tickling, O’Neill (Kilbrack, 2003, etc.) brilliantly invokes absurdism only to relocate it in the mind.